On this day eleven years ago I had a walk up by the riverside area of Clifton, in the early days of beginning to properly appreciate my local patch, and discovering more of it. On the boundary of the built-up area of what was the old Clifton Hospital site (now Clifton Park) there’s a narrow path between an avenue of trees, leading from Rawcliffe Meadows towards Shipton Road. At the time I walked along here, on this day all those years ago, the light caught it beautifully. So many well-worn paths, we tend to take them for granted. Not giving much thought to whether they’re protected, whose land they’re on. The longer I work on this site the more I think about land ownership and public access, and it becomes less about individual buildings but more about the way we move through what’s there and what rights we have to keep walking that way. How many paths really are ‘rights of way’. Even those can be closed, as many people in the Clifton area may remember. More on this story later … but for now, I hope we’re enjoying the well-worn paths through the springtime trees. 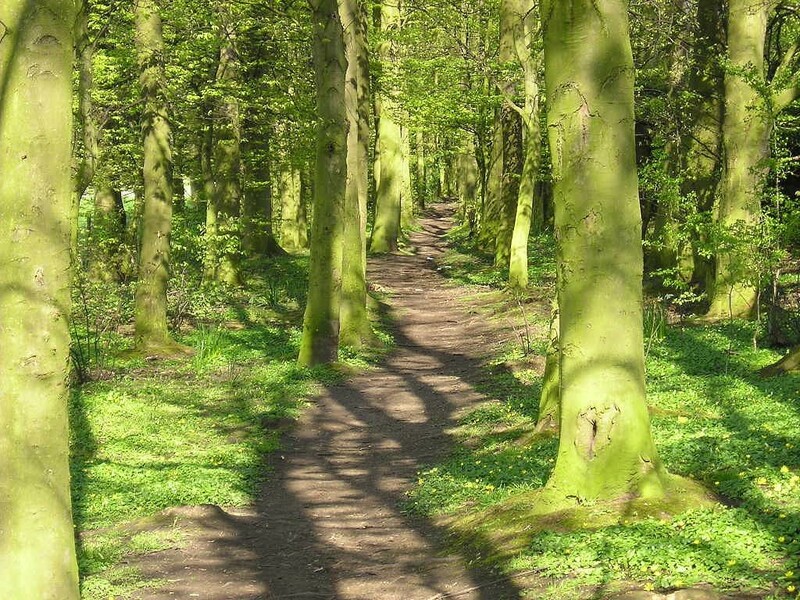 Have never walked this path as I live in Scarborough.However woodland walks are plenty in my area.Cought on a sunny day they lift the soul and are delightfull Places and trees like theses should be protected.